There is no parking at the hospital during the day but we do have a limited number of disabled (blue badge) parking spaces, which may be used by Blue Disabled Badge holders only between 8:00 am and 5:00 pm free of charge. Please note that normal charges will apply to Blue Disabled Badge holders after 5:00pm on weekdays and all day at weekends(see below). Parking is allowed between 5pm and 8am Mondays to Fridays and all day at the weekends. The first 20 minutes is free and after that is charged at �3.00 per hour. 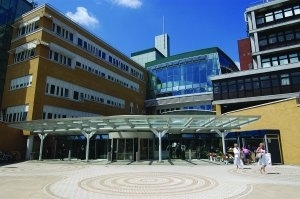 There is a limited amount of pay and display parking on the roads around the hospital.